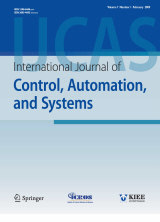 Abstract : "This paper addresses the trajectory tracking and obstacle avoidance control problems for a class of mobile robot systems. Two classes of controllers are designed for the mobile robot system in the free motion, respectively. A new hybrid position virtual-force controller is designed to adjust the distance between the mobile robot and the obstacles. Since the uncertainties between the mobile robot dynamics model and obstacles degrade the performance of the obstacle avoidance system, a multi-layer feed-forward neural networks (NNs) deep learning method with hybrid position and virtual-force is proposed, such that the distance between the mobile robot and the obstacles converges to an adjustable bounded region. It is shown that the proposed controller in this paper is smooth, effective, and only uses the system output. The control design conditions are relaxed because of the developed multi-layer feed-forward NNs deep learning compensator. The simulation results and obstacle avoidance cases are performed to show the effectiveness of the proposed method." Keyword : "Avoidance obstacles, mobile robot, multi-layer feed-forward neural networks, position control, virtualforce control."